How I Got Rid of My Caffeine Addiction was posted on April 13th, 2015 and is filed under Healthy Living. This entry has 6 comments. You can follow any responses through the RSS 2.0 Comment Feed. A few days before I was discharged from the hospital (after my accident), I had a mind blowing revelation. I had not drank coffee (except for a couple sips) for 2 weeks! I didn’t even have withdrawal symptoms! Ok, granted, I had massive headaches which I’ve never experienced before…but I credit it to the fact that I had three separate cracks in my skull – rather than the absence of my cup of Joe. Before the accident, I’m ashamed to admit that I was gulping down several cups of coffee or espresso based drinks daily. It was not uncommon for me to have 5 shots of espresso before I even had lunch (well, that’s what happens when you get up at 4:20am and work the early shift at a coffee shop)! Yes, I said I was ashamed. If I went a day without coffee, I’d have the worst, annoying headache. I wasn’t addicted so much to the coffee, but to the caffeine. Physically addicted. Once I was leaving the hospital, I decided to take advantage of this headstart to a non-caffeine dependent life. No more caffeine addiction for Charissa…and guess what?! I’m not addicted anymore (self administered pat on the back inserted here). I went almost 8 weeks without a cup of coffee. Whaaaaaa! I’ve decided that coffee is something that I’m going to treat as an experience, not something I depend on. From now on, I want to just enjoy it…savour it…not NEED it. 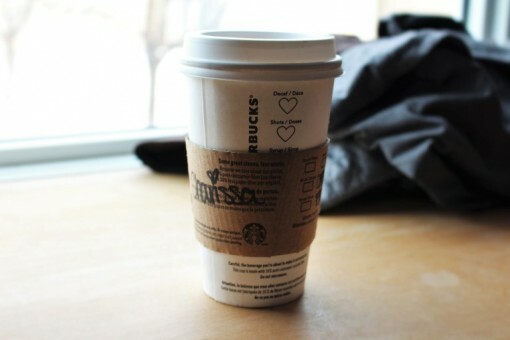 Just a few days ago…I had my very first REAL cup of coffee. Oh. My. Applesauce. It was so. so. so. good. This is probably because two of my good friends (Joel from JostieFlicks and his fiancé Michaela) made me coffee their way. They had roasted it….ground it…measured, weighed…and made me the perfect cuppa. 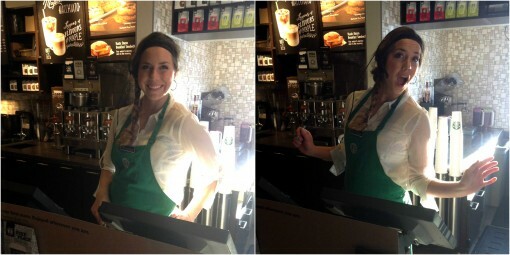 It was literally like watching someone create art….and you know, one cup was perfect…I adored it…and it was enough. Sooooo, how DID I break this terrible addiction? Well, I know that my two-weeks of hospital life (where I was completely removed from coffee) is a sort of twisted advantage, however…don’t you think I wasn’t, for one second, without those headaches. Cracking your skull = headaches. Anywhoooo…my point is, even if you’re heavily dependent on caffeine…I have complete trust in you that you can pull through those withdrawal headaches and those long afternoons where you’re dragging through the day completely exhausted. There is another way. I promise. Starting the day I got home (around 6 weeks ago), I began to have hot lemon and honey every morning. Before I even had breakfast I’d have a hot, comforting mug of lemon water. It is the BEST way to start the day. Hot lemon water was my coffee re-placer. If I was craving something “heartier” for a hot beverage, I’d have tea (which has a small amount of caffeine depending on the kind you use), which was a great thing to help “wean” me away from the desire for coffee. Next post I’m going to tell you why YOU should try having more lemon in your life and how healing it is! As a new convert and previous caffeine addict, I’m super excited to tell you more! Have you tried hot lemon water? Are you addicted to coffee/caffeine? You go girl! You are living proof that one can break away from the dependency of caffeine! Proud of ya! Good for you. I stopped drinking coffee years ago, because I heard it wasn’t good for you. Since then, I heard a billion studies going back and forth about whether it is or isn’t good for you. Who knows? I also have lemon water every morning, but I add cayenne pepper to it. Shannonmarie – I still love coffee, but it has been scaled down 90% (thank goodness!). I’m definitely going to be trying the cayenne! Hot lemon water is so good, and refreshing. Mind you, I still drink coffee through the day (it so helps with three kiddos!). But I’ve been off of coffee a few times, so I know I can do it. But seriously though – honey and lemon -wowza. 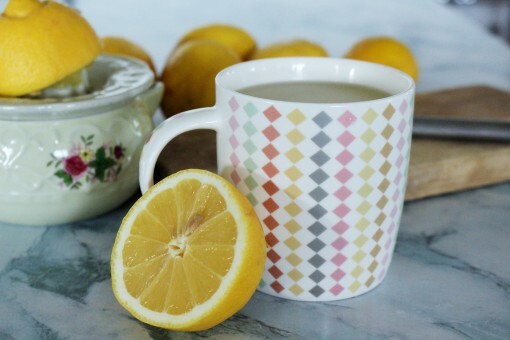 Years ago I used to have hot lemon water (NO honey) first thing in the morning because I heard that it was good for what ails you — less sickness. I somehow got out of the habit (maybe ran out of lemons too much?). I do have one cup of caffeinated coffee in the morning with my breakfast, then switch to decaf for any refills. When I brew it at home I put in one scoop of regular and the other scoops all decaf. It helps me be a bit more alert to start the day — especially if I am driving somewhere. I do drink caffeinated tea sometimes in the morning (I drink A LOT of tea) but switch to decaf/herbals after about noon. If I wanted to get totally off caffeine I would gradually reduce what I have, which I don’t think it is a lot. I do have some dark chocolate every day, and of course that has some caffeine.